What happens if your former spouse stops paying child support? 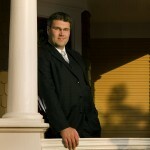 If your former spouse stops paying court ordered child support it can create a lot of problems. You may depend on that money to pay bills and suddenly having that stream of money disappear can leave you scrambling. Thankfully, you have ways to extract the money owed from your spouse. There are many ways of doing this, but a common one is to pursue a wage garnishment. To find out more about how wage garnishment works in North Carolina, keep reading. Wage garnishment is an order from a government agency or court that has been sent to your employer. The order requires your employer to withhold a certain amount of money from your paycheck and then send this money to your creditor, whether that be a government agency, a person (like a former spouse) or a credit card company. 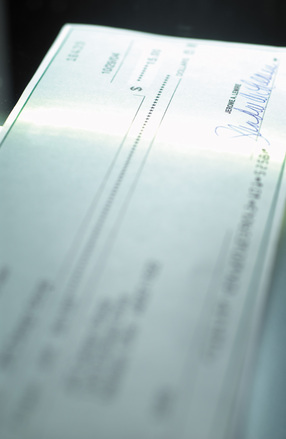 When can your check be garnished? Generally, you don’t have to worry about having money taken from your check until a court order has been issued authorizing such a garnishment. Creditors are usually prevented from taking your money without having first sued you and gotten a judgment allowing the garnishment. There are, however, exceptions to this rule. Wages can be garnished without a court order for things like unpaid taxes, defaulted student loans and child support, including child support arrearages. How does a garnishment happen? In North Carolina, garnishment of wages occurs when one parent either petitions a court directly or asks the Child Support Enforcement Office for assistance in recovering owed money. Wage garnishment can only be used if a court order for child support is violated, meaning this cannot happen if there is only a separation agreement in place. The garnishment order can be signed by a judge either in the county where the mother resides, where the father resides or where the child resides. Thankfully there are limits when it comes to garnishment. If there weren’t there could be serious trouble, with creditors seizing your entire paycheck you could be left penniless, unable to buy food or pay for housing. Legislators have created guidelines to ensure this doesn’t happen, with the goal being to leave enough money to pay basic living expenses. Under North Carolina law, garnishment for child support may be ordered for up to forty percent of a person’s net available pay. Can you be fired due to a garnishment? The short answer is no, your employer cannot fire you for having one wage garnishment. The reason many people worry about being fired is that it can be a pain for your employer to have to comply with the garnishment order. Rather than deal with the fuss, the fear is the employer simply terminates your employment. Thankfully employees are protected under federal law which says that you cannot be discharged if you have one wage garnishment. However, federal law does not apply to those with multiple wage garnishments and termination, in those cases, is technically possible.